For those living away from mains gas supplies central heating has posed something of a problem for many years. With the usual price hike associated with the winter season readily available from all major energy suppliers, those relying on domestic heating oil face more complex problems. For those on mains supplies the price hike will certainly make life difficult but the costs can be managed far more easily than for those reliant on domestic oil. Apart from the advantages of mains suppliers offering direct debit payments – the costs can be averaged over the year into a manageable (or at least stable) monthly payment. Domestic heating oil suppliers, however, normally charge variable rates dependant on the season and demand. Winter is normally a time of higher prices with some customers reporting swings of almost 50 per cent at different times of the year. Added to this the increasing trend for suppliers to require upfront payment and the 1.5 million homes in the UK who depend on domestic heating oil face increasingly tough challenges. These issues have, in recent years, led to the rise of the “oil club”. It may sound like the sort of thing that wealthy states in the Middle East may be interested in joining, but this type of oil club is slightly smaller and more domesticated. With individual customers finding that they are subject to minimum order terms, which heating oil suppliers are forced to implement in order to make deliveries economical at all, the power of bulk purchasing has become an attractive alternative. The basic costs, plus delivery, plus minimum order and advance payment terms, can be particularly difficult for individuals living alone and for older customers on fixed incomes. However, the opportunity to purchase using the bulk buying model has been becoming established in many rural areas in recent years. 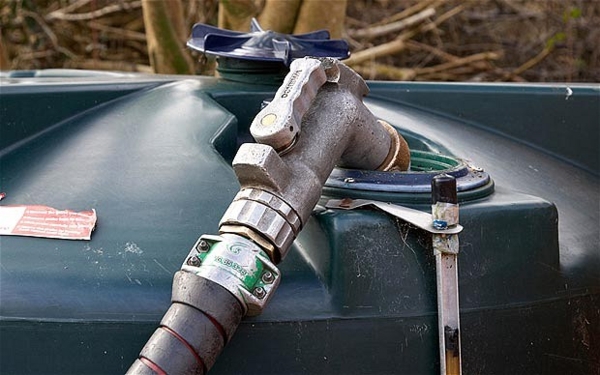 Heating oil customers in Essex and Sussex began establishing clubs several years ago, specifically in response to the rising cost of heating their homes and the practice is spreading across the UK. The principle is simple and effective offering benefits for both consumers and heating oil suppliers. For consumers, joining an oil club allows them to access the simple economic power of bulk purchasing. While our friends and relations on mains supplies may have the opportunity to spread the cost over the year, they cannot club together to negotiate with energy suppliers, leaving those suppliers happily charging whatever they choose. Domestic heating oil suppliers are, however, happy to negotiate on price for bulk orders. In addition to offering consumers a lower price per litre the advantages for the supply firms are simple; one tank, one delivery route, means bigger single orders and potential savings on tanker fuel – a significant and ever rising cost that the companies themselves must tackle. While oil clubs are an excellent example of rural communities working together to solve the problems posed by the rising cost of fuel, there are a number of other steps that oil customers can take to lower their bills. With official figures suggesting that more than 10 per cent of UK households are officially living in fuel poverty, it will be no surprise to many domestic oil customers to learn that a third of those on heating oil are considered to be living in fuel poverty in England alone. The Energy Saving Trust (EST), The Citizens Advice Bureaux and a number of local councils are all addressing this situation with help, advice and, in some cases, grants or loans to assist homeowners make their homes more energy efficient. The EST estimate that loft insulation alone can offer savings of up to £175 a year in an average home, and the more measures you can install the better the overall savings. Certainly with domestic heating oil prices appearing to go through the roof at this time of year, it makes senses to ensure that you ensure as little as possible of the heat it generates follows! Domestic heating oil customers are clubbing together to create innovative solutions to the rising cost of oil. Oil clubs can not only cut the cost for consumers but also help suppliers to save through efficient delivery and bulk orders.